Wonderful statue of a couple from the western part of Kenya. These are call soap stone or Kissi Stone. 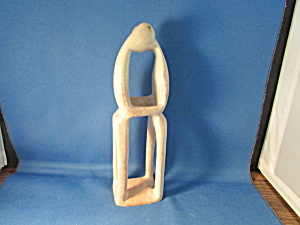 Statue is 9" tall and does have a chip on the bottom (see picture), otherwise in excellent condition.